Maisie’s garden tea party was a smashing success! 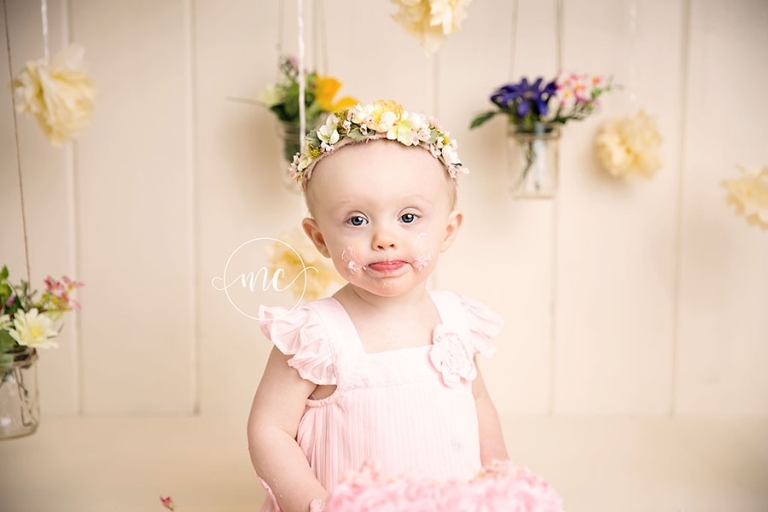 Oh goodness, it had been a whole year since I saw Maisie for her newborn session~ it’s always so amazing to see how these babies have grown and changed into little people! 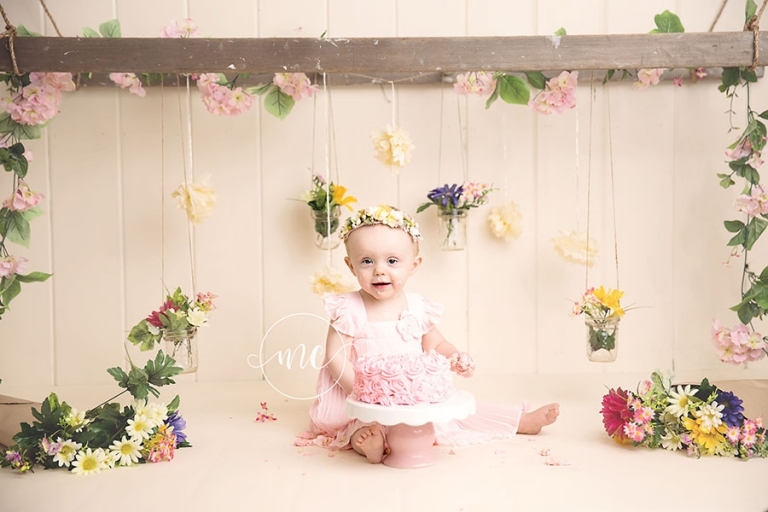 The morning of her session we had several inches of snow but that didn’t stop spring and flowers in the studio. Crazy Ohio weather! This gorgeous cake was provided by A Cupcake Day in Medina Ohio. 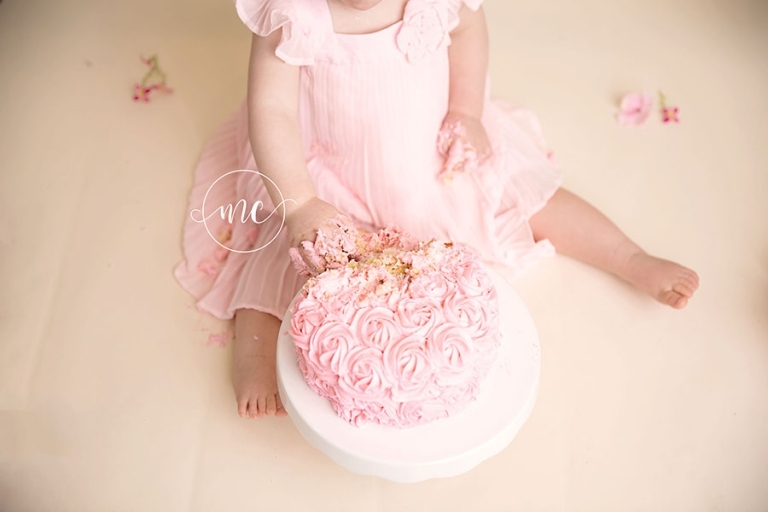 Maisie’s first taste of cake~ this is how the addiction starts…..yum! Headband by Petals and Plaid Boutique in Cleveland, Ohio. Backdrop by Intuition Backgrounds. I love her innocent little look and those big eyes. And to end, quite possibly my favorite! Isn’t that grin irresistible? Happy birthday, Maisy! Love this little bed by Woodsy Wonders Props. Thanks for reading, shares and comments are always appreciated! 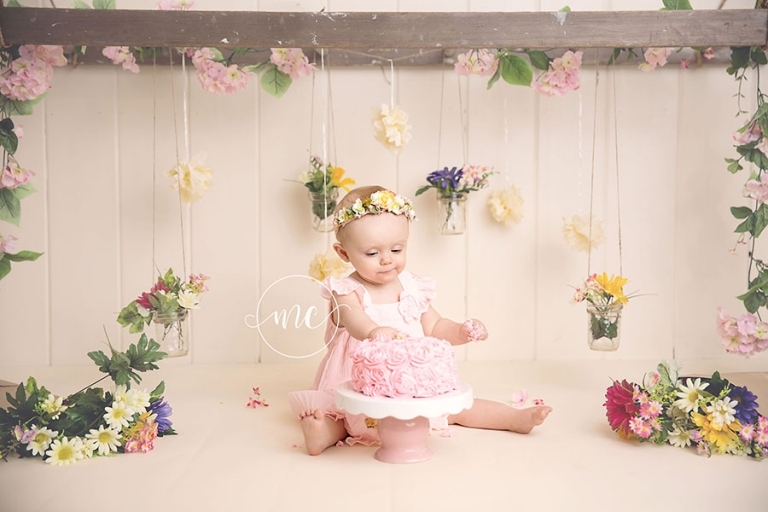 To book your cake smash session or to inquire, please visit here.